Greetings readers! I’ve been busy with school, yoga teacher training, and a bunch of other stuff (like jewelry making…but I’ll discuss that a little later) hence why I haven’t posted much lately. One might think that being busy means that there’s no time to create healthy, delicious recipes, but cooking and baking is a priority for me. Not only because making healthy food is a necessity, but also because I’m a firm believer in doing activities that bring me joy, so even when I’m busy I try to make some time to play around in the kitchen. 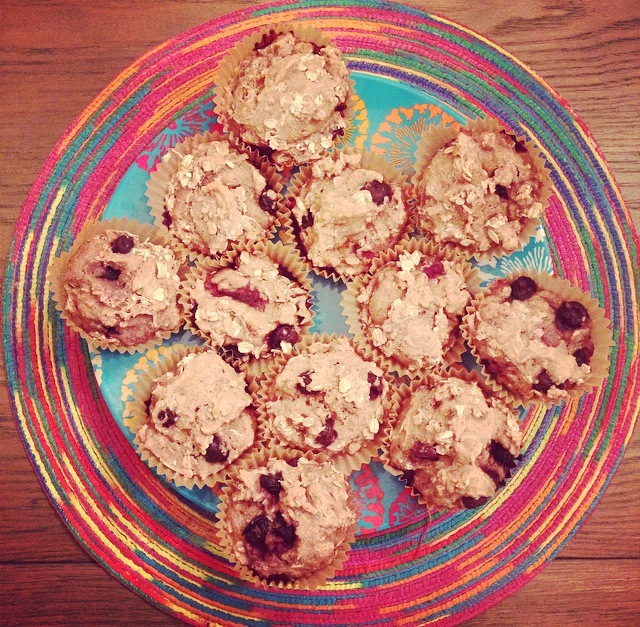 Tonight I made two really healthy muffin recipes that I’m sharing here. 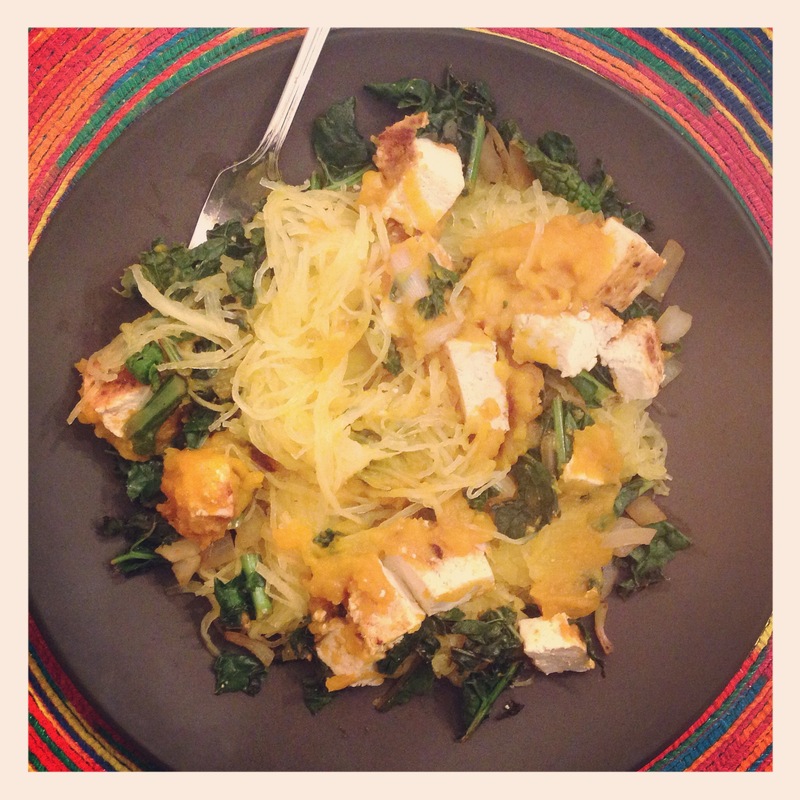 Both recipes are vegan, oil-free, and can be made gluten-free. 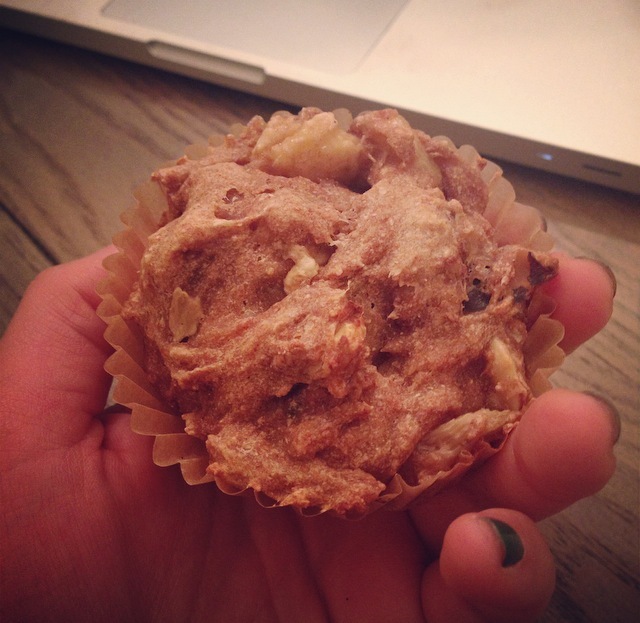 Indulging in a banana walnut muffin as I type this post!